Classic Ladies Clutch for Evening Wear with Golden Clasp. Elegantly Sized and Shaped for Convenience to Hold All Your Essentials. 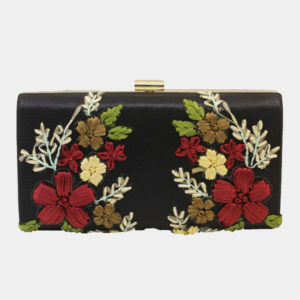 Classic Black Ladies Clutch for Evening Wear with Golden Clasp. Elegantly Sized and Shaped for Convenience to Hold All Your Essentials. Classic Shimmer Clutch with Golden Clasp. Ideal for Evening Wear. Elegantly Shaped and Sized for Convenience to Hold All Your Essentials. Classic Square Clutch with Silver Clasp. Ideal for Evening Wear. Sized and Shaped for Elegance and Convenience to Hold All Your Essentials. Floral Blossom Clutch with Golden Clasp. Ideal for Several Occasions. Sized and Shaped for Convenience to Hold All Your Essentials. Floral Velvet Clutch with Golden Clasp. Ideal for Smart Occasions. Elegantly Sized for Convenience to Hold Your Essentials.